Acclaimed industry insider Steve Hemmerstoffer, aka @onleaks, has today revealed Apple’s biggest change coming to the 2019 iPhone. And, given his exceptional track record, we can expect the back of new iPhones to look very different indeed. Yes, Apple is working on a successor to the iPhone XS and iPhone XS Max (tentatively referred to as the ‘iPhone XI’) which uses a triple rear camera. Moreover, it is a camera setup unlike any other. Tying in with an earlier leak from Bloomberg, Hemmerstoffer’s partner site digit.in says Apple is working to incorporate long distance Time of Flight (ToF) technology. Already showcased by ToF module creator Sony, it will enable next-generation iPhones to create detailed 3D maps of anything within five metres. The repercussions for security, gaming and augmented reality applications could be game-changing. Hemmerstoffer stresses that the iPhone XI is currently at the Engineering Validation Test (EVT) stage which means the design is not yet final. But he has found a significant ally in hugely popular (and equally accurate) industry insider Ice Universe who validated the leak, so the information looks rock solid. For me, the only concern is whether Apple would introduce such an asymmetrical camera design. 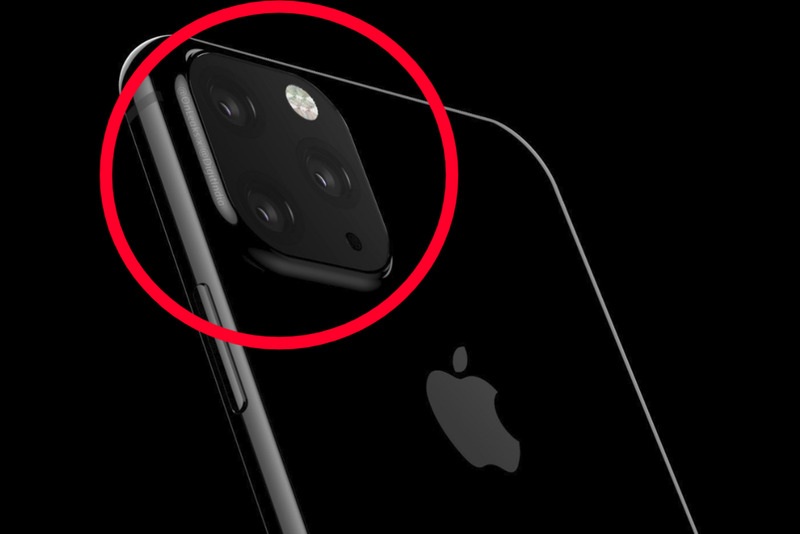 The company has relaxed its historical obsession with symmetry (the iPhone XS has asymmetrical speaker and mic holes at the bottom of the phone) but the triple camera is asymmetrical to the point of being ugly. That said, whatever the final design, getting long distance ToF into the 2019 iPhone looks essential given what we know about the rest of the phone. Most notably, Apple will make minimal design changes while its ongoing lawsuit with Qualcomm will rob new iPhones of 5G. There will be a crowd-pleasing attempt to integrate Touch ID into the display to compete with, yes, Qualcomm’s in-display readers which are being adopted by major rivals. But there are doubts Apple’s tech is ready, which would be a blow to its ambitious plans for dual biometrics.